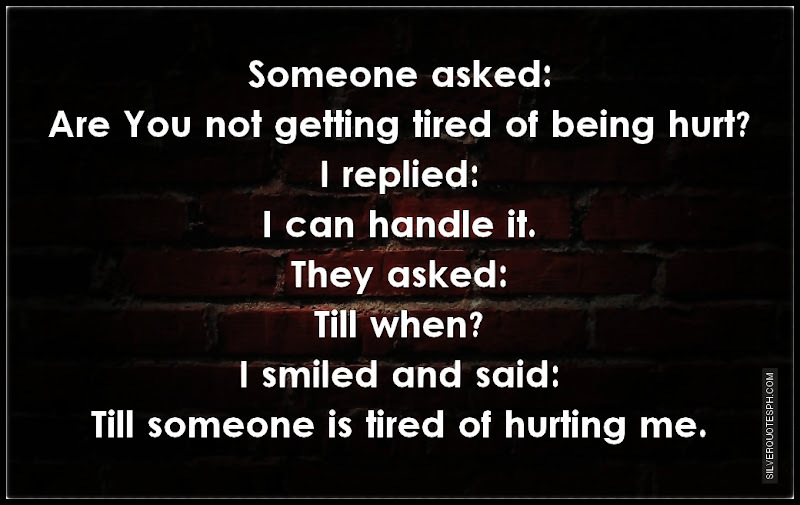 Someone asked: Are You not getting tired of being hurt? I replied: I can handle it. They asked: Till when? I smiled and said: Till someone is tired of hurting me.